Expanding the cultural, educational and financial horizons of deserving students in Cincinnati and Southwest Ohio. Each year, Women's Alliance hosts its signature Hats Galore event -- an afternoon of fun and fundraising to support deserving young women on their journey to higher education. 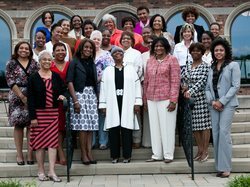 Since 1966, this small organization of dedicated women has given more than $10,000 in scholarships, annually, to deserving high school seniors in Cincinnati and Southwest Ohio. These young people are posed to make their mark on the world thanks to scholarship awards from Women's Alliance. Your generous donation will help students achieve their dreams of a college education. All donations are 100% tax deductible.